Sahrah Boeck is a doer. “I’ll just do it, with or without your help. I’ve always just done it that way,” she said, smiling, but matter-of-factly. She was talking about painting the entire interior of her house and fixing doors, roofs and garden walls in ten days, but she might as well have been talking about any other project she was taking on simultaneously. Brainergy Schoolhouse, a.k.a. Ramby’s: An Activity Space, is just a few month old now, but the momentum is gathering around Sahrah’s dynamic energy and connections are starting to happen. Launched in a month-off from her “night job” at a calling center, the “activity space” project houses a classroom, a dance studio, and a music room for all ages. 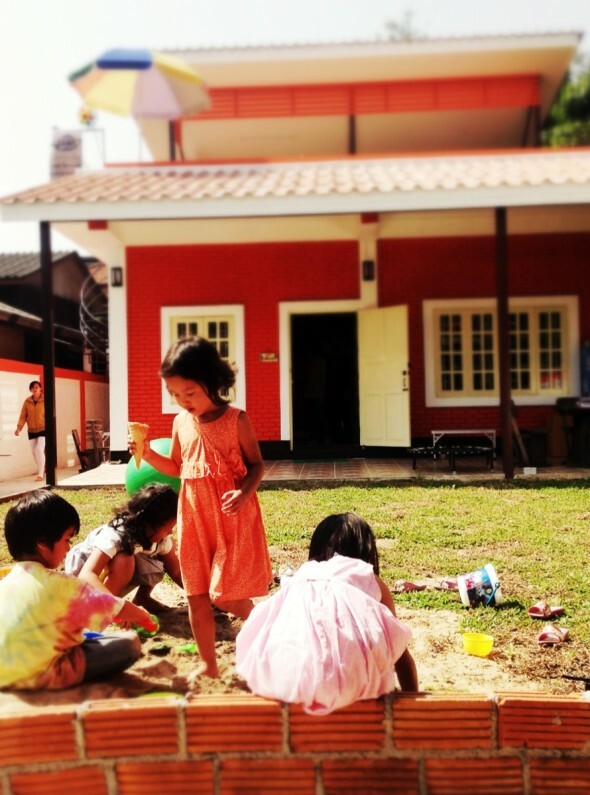 It has a rooftop cafe for socializing, a playroom and a sand box for the energy-overabundant. Kush loved Ramby’s front yard as soon as he saw it. 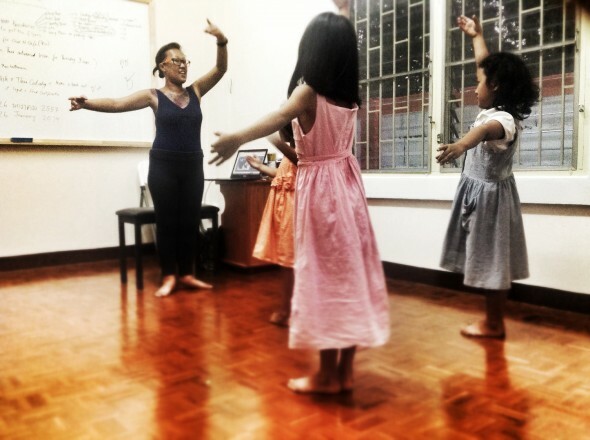 Herself an experienced teacher of German, Thai and English, Sahrah partnered with other teachers, dance and music instructors, and set about business with a vision: cracking open Thai people’s hearts and mind to freer self-expression. 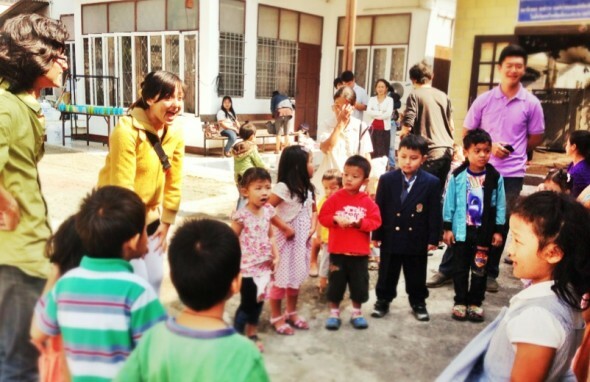 Getting kids excited, across language barriers, at a Sunday school for Burmese immigrants. Before her new venture, she ran a popular bar, called “Rooms Corner: The Maybe Bar,” on the hip Nimmanhaemin Rd neighborhood. There, her mission was the same: enabling the shy Thai to cultivate their own expression and sense of freedom. She brings the same skill set that enabled her to run a successful bar to her new venture; her sharp sense of observation and sense of humor, perhaps cultivated from her own multi-cultural upbringings, her business savvy, and her ease and speed with which she befriends you, whether you are three or sixty-three. We met through her Facebook page, and then-business partner and dance instructor Yupin Laoser got us together for a Skype chat. “I knew you guys should meet. 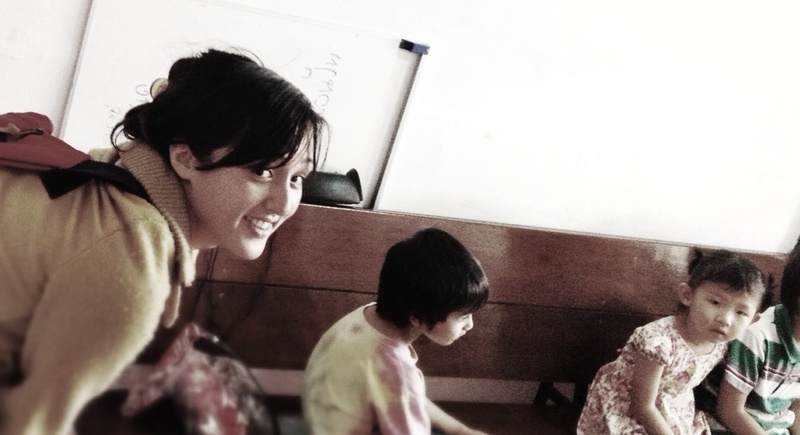 Sahrah is kind of shy with strangers, but I pushed her to talk with you,” Yupin whispered to us later. Once we had the face-to-face meeting, though, all were enthusiastic about the possibility of “working” together. 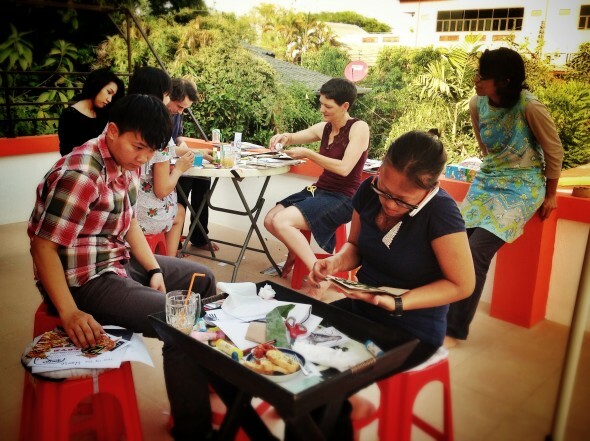 The Orangutan team were to show up Chiang Mai, sight unseen, and see what we could do to help. We asked if they could find us accommodation in exchange. We had no idea what we were asking for! As soon as we met in person, the three of them—Sahrah, her partner Ngorh Jahsang, and Yupin—took us under their wing and made sure we were fed, sheltered, and generally having good time. We were afforded a glimpse into the multi-layered Thai youth “scene,” their modern but simple lifestyle and could talk with them about what it meant to be an artist (Ngorh, on top of being the talented chef and the owner of the “Ramby’s Cafe” upstairs, earns her keeps as a professional musician) in this culture. We held workshops (see more pics from our ‘Zine Making Workshop at Design Kompany blog), made stock photographs and copies for their marketing, and helped Sahrah come to a clear vision of what she wanted to do. And in the process, we learned a lot about ourselves, too. But in truth, we were just riding the high she created around her, of following her bliss, minute to minute, and not bothering to look back and check to see others are approving or following. I can’t wait to see what she will do with her Activity Space and beyond.